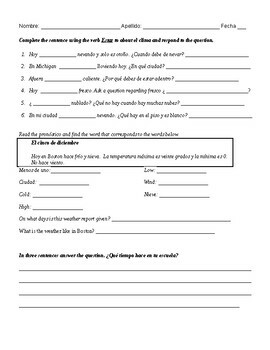 Students are able to practice the verb estar and weather related information. 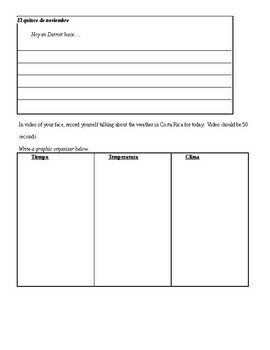 This activity is focused on some reading comprehension and writing about weather and forecast. I have also included talking about time by provided a fight schedule for recycling previous knowledge.